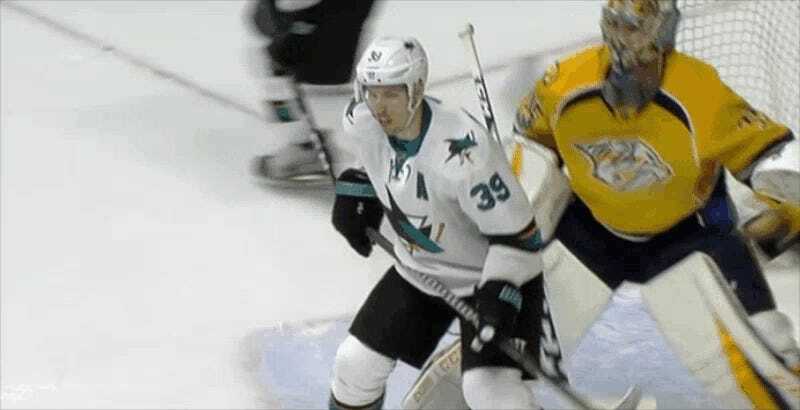 Sharks center Logan Couture could miss some time after taking a deflected puck to the mouth in Saturday’s 7-2 loss to the Predators. Couture suffered the injury in the last minute of the second period, after teammate Brent Burns’s blue-line shot bounced right into his mouth. He immediately dropped his gloves and skated to the locker room. The slow-motion replay showed one of Couture’s teeth fall out. The Sharks’ next game is tomorrow against the Rangers, although Couture’s status is up the air.